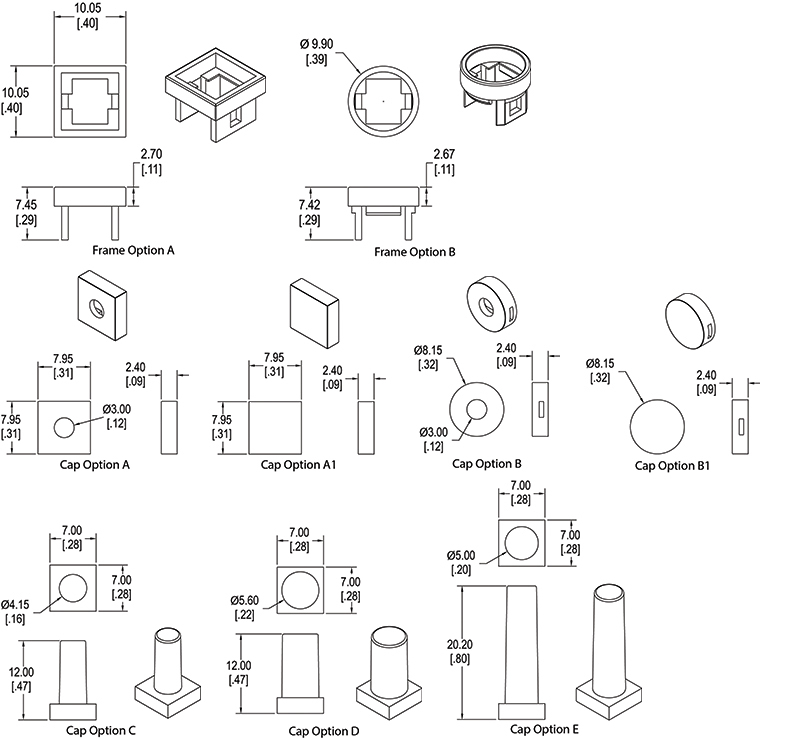 Offering surface mount, through-hole and right angle mounting, the CL1200 Series is a momentary SPST tactile switch. Available with actuation force of 160 ? 50gf and actuator travel of 0.25 ? 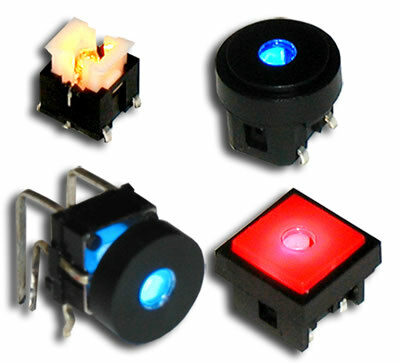 .1mm, the CL1200 Series is available as a square tactile switch with LED hole, round, and round switch with LED hole actuator styles in a multitude of colors. 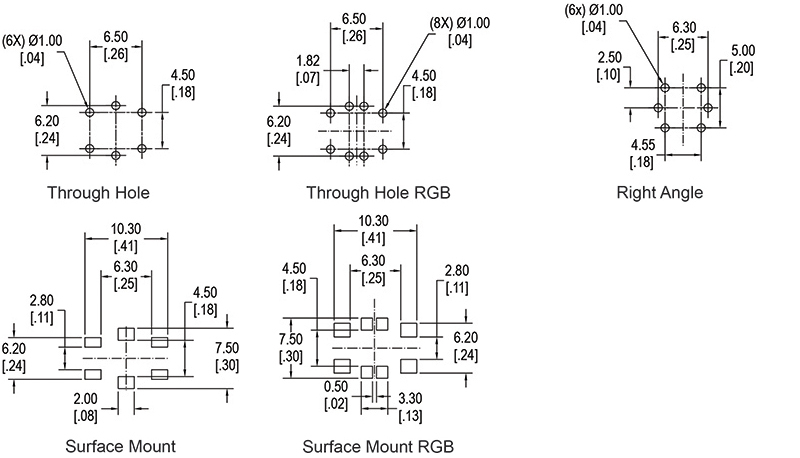 Bi-color LED options are red, green, yellow, blue, white, orange and RGB. Optional frames in round and square are also available for the CL1200 series illuminated switch.